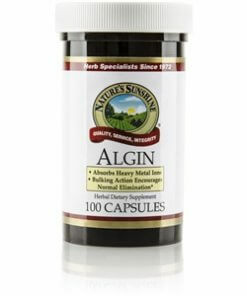 Nature’s Sunshine Algin is made up of sodium alginate, an important part of the kelp plant. 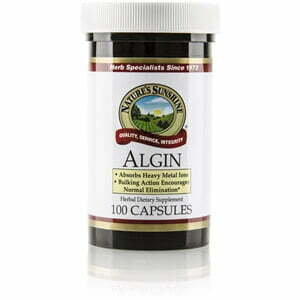 Algin may aid in supporting a healthy intestinal system in eliminating waste from the body. Instructions: Take two capsules three times daily between meals. Drink two glasses of juice with each serving.